CLICK BELOW TO GET YOUR ONLINE SPECIAL OFFER! Thank you! Check your email inbox to confirm and receive your online special. I wanted to take a few minutes of your time to tell you something that I think is equally amazing and wonderful. As you know our daughter Lauren has been taking classes at your studio for about 6 months and she loves it! Lauren has always been a shy child. Her teachers have always said that is well behaved in class, does her work and completes it on time, but often when it come to testing, her scores were never as good as the teachers expected. Many teachers have said that they think that Lauren gets so nervous that she just does not test well and that this problem comes from her own self confidence. I began to do research and found that when a child’s self confidence is low, it can affect many areas of their life, in her case even her test scores at school. After talking to her teacher at school, I discover that many teachers and educational professional recommend martial arts training for developing a child’s confidence and self esteem, and that is why I brought her to your studio. I am excited to tell you that in only 6 months Lauren is now testing as a normal 5th grader would and she is getting great scores. AND…even better her confidence has grown so much that she just won the 5th grade spelling bee! Before her martial arts training at your studio, Lauren would have never got up in front of people to compete, let alone win a spelling contest! Thanks for all you do, you have made a huge difference in Lauren and made me one happy parent! WE HEAR STORIES LIKE THIS ALL THE TIME. 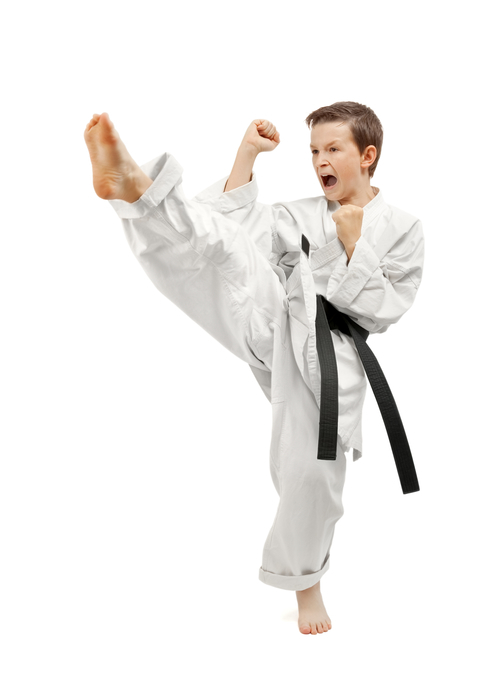 IN FACT YOU CAN EXPECT MANY BENEFITS FROM YOUR CHILD'S TRAINING IN MARTIAL ARTS AT PREMIER. Children will begin by keeping their eyes focus on the eyes of people speaking to them. They will begin paying more attention to their teachers and for longer periods of time, therefore hearing and learning more. Focus is like a muscle, the more you use it, the better and stronger it gets. 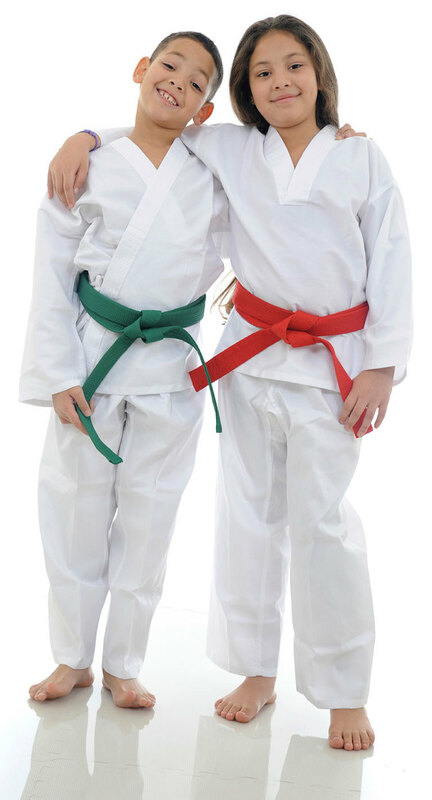 With martial arts training at Premier Martial Arts, we train children's muscles and mind. A confident child is a happy child. They no longer live in anxiety or fear. Confidence is the first step to get a child to succeed in all areas of life. Once confidence is developed, the instructors at our studio can now begin getting a child to perform at a level that was once un-thought of for them. Getting a child to do what they are told can be challenging enough, and our program will develop respectful disciplined kids, but more important is getting a child to do what they are not told. Develop self discipline is children where they have the knowledge to know what they should do, and they do it! This trait will be invaluable as they grow into successful teens and adults. Strength, Conditioning, Flexibility and Weight Loss are all benefits that parents can expect to receive with martial arts training at Premier Martial Arts. Every muscle group is strengthened and defined with the exercises, movements, technique, and training drills that are incorporated into our curriculum. A child’s endurance and stamina will peak as we increase their cardiovascular conditioning. All these physical benefits for their body will be felt in their daily life and activities, increasing their energy and confidence. Martial Arts is not a team sport, the only person that a child is competing with is “Themselves”. Kids come to us from ages 3 and up, some are in shape, while others are overweight. Some come for confidence, fitness and others for fun. Each child is treated equally, and is trained to the best of their own ability and potential. A child is never compared to anyone else. At Knoxville Premier Martial Arts our instructors are there to guide, instruct, and motivate your kid to be the best that they can be. WE COULD GO ON AND ON ABOUT THE BENEFITS OF MARTIAL ARTS TRAINING FOR CHILDREN, BUT MAYBE IT’S BETTER FOR YOU TO HEAR IT FROM REAL PARENTS. 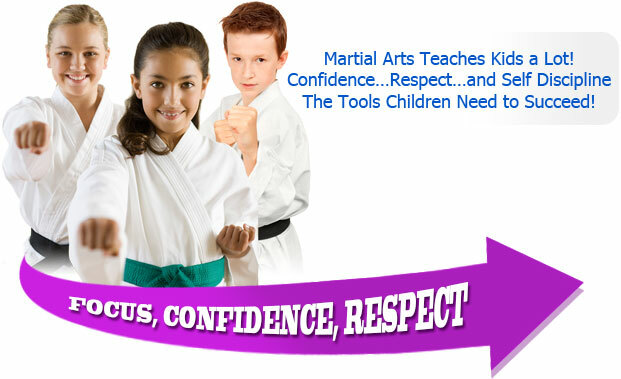 MARTIAL ARTS TRAINING DEVELOPS CONFIDENCE IN KIDS! KARATE KIDS KNOW HOW TO HANDLE BULLYING SITUATIONS. MARTIAL ARTS INCREASES FOCUS AND CONCENTRATION. ENROLLING YOUR CHILD IN KARATE COULD BE ONE OF THE BEST THINGS FOR YOUR CHILD. I KNOW MY CHILD WILL HAVE FUN, BUT HE HAS QUIT OTHER ACTIVITIES BEFORE. HOW CAN WE KEEP HIM FROM QUITTING? The key to a child’s success in any activity is consistency, progress and parents. What we have found children don’t quit martial arts training, parents do! As long as a parent makes and keeps the commitment of making sure their child attends class twice per week, children will learn and excel in their training. Kids that training consistently, continue to progress in the martial arts and should no problem reaching the life changing goal of Black Belt. IS MY CHILD TOO YOUNG FOR MARTIAL ARTS TRAINING? At Premier Martial Arts we are experts at teaching martial arts. We have programs specially designed for ages 3 to 4, 5 to 7, 8 to 12, teens, and adults. Our instructors are trained to bring out the best in our student performance at any age. WHAT ARE THE CHANCES THAT MY CHILD COULD GET HURT DOING MARTIAL ARTS? Don’t worry it’s not like the cage fighting you see almost every night on TV! (But your child will learn to defend themselves.) Actually children have much greater chances of getting hurt playing football than participating in martial arts. In fact we have trained students for years that have never received a single injury. While injuries can and do occur very rarely, your child safety is our main concern. We use padded safety gear, abide by strict safety rules and regulation for instructors and students, use padded safety weapons, and even have high tech padded floors, all for the safety of our students. WILL MARTIAL ARTS TRAINING MAKE MY CHILD AGGRESSIVE TO OTHERS? NO WAY! As a matter of fact, we are careful to teach our students to use common sense before self defense. Kids are taught this from the first day of classes, to make smart decisions when it comes to self defense. They will know when it is the right time to use what we teach them. MY CHILD HAS NEVER BEEN GOOD AT SPORTS, CAN HE DO THIS? Every child has what it take to be good at martial arts because in martial arts they are not competing or comparing themselves with anyone. Martial arts are more than just punching and kicking. Character development training is just as important as punching and kicking. We are building Black Belt from the inside out. Once we develop a child’s confidence, they truly can then achieve anything they set their minds to. IS MARTIAL ART TRAINING GOOD EXERCISE IF MY CHILD NEEDS TO LOSE WEIGHT? MARTIAL ARTS IS FUN EXERCISE FOR KIDS! At Premier Martial Arts We Believe In The Benefits For Martial Arts Training For Everyone, Men, Women, Boys, And Girls Of All Ages. Further We Know That Families That Spend Quality Time Together Are Happier, Healthier Families. So We Encourage Members Of The Entire Family To Participate In One Of Our Many Martial Arts Programs. Ask Us About Our Family Discounts. © 2016 Premier Martial Arts powered by Martial Arts Management Group. All Rights Reserved.